Guest Bio: Associate Professor Chris Askew is a Senior Research Fellow and leader of the VasoActive research group at the University of the Sunshine Coast and the Sunshine Coast Hospital and Health Service. He is an accredited exercise physiologist with a particular interest in the pathophysiology and treatment of chronic age-related cardiovascular conditions. Much of his group’s work has focused on the acute and chronic physiological effects of ischaemia, and how these relate to the mechanisms of exercise intolerance in peripheral arterial disease (PAD). He has published a number of clinical studies investigating the effects of exercise rehabilitation, dietary interventions and drug therapies in PAD, and these studies are underpinned by experimental investigations of muscle fatigue, limb blood flow, vascular function, and angiogenesis. Chris is a past President and Board member of Exercise and Sport Science Australia (ESSA), and he is currently Chair of the ESSA Professional Standards Advisory Council. Segment Overview: In this segment, Associate Professor Chris Askew from University of the Sunshine Coast joins the program to discuss about a lesser known cardiovascular disease called peripheral artery disease (PAD) which is dubbed “the Cinderella disease” or Cinderella of cardiovascular diseases. He talks about the symptoms, causes and the available treatments for this particular condition. Tabetha Moreto: Hello everyone. Welcome to Health Professional Radio. I’m your host for today, Tabetha Moreto. 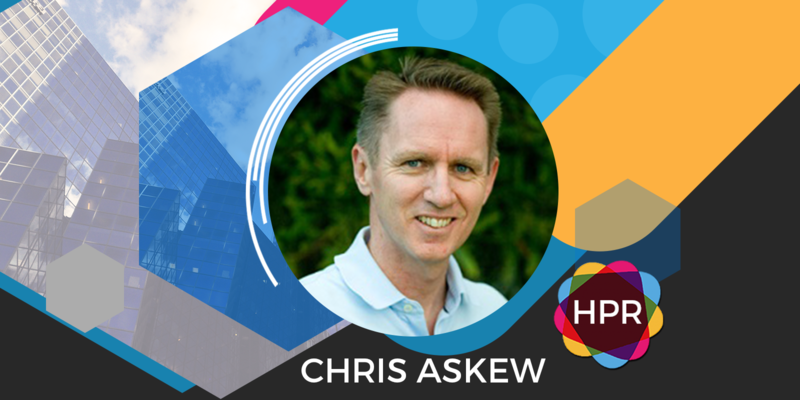 Our guest today is Associate Professor Chris Askew, a Senior Research Fellow and leader of the VasoActive research group at the University of the Sunshine Coast and the Sunshine Coast Hospital and Health Service. Today, we’re going to talk about the Cinderella disease which many ageing Australians are suffering from. Without further ado, welcome to the show, Chris. It’s very nice to have you here. Associate Professor Chris Askew:Thanks very much, Tabetha. Nice to be with you. Tabetha: My pleasure. So Chris, please tell the audience more about yourself and the nature of your work. Assoc. Prof. Askew: As you’ve mentioned, I’m a research fellow and I’m an exercise physiologist with a particular interest in cardiovascular diseases. We know that exercise is beneficial for a range of cardiovascular conditions but importantly many people with cardiovascular diseases have a limited ability to exercise and a limited ability to undertake daily physical activity. The most common forms of cardiovascular disease that we’re all aware are heart disease and stroke but there is another known cardiovascular condition called peripheral arterial disease or PAD and this is the condition what we called the Cinderella cardiovascular disease. It is a condition that’s not often talked about. Tabetha: Very interesting. I’m curious Chris, if you don’t mind me asking. Why is it called the Cinderella disease? Assoc. Prof. Askew: It’s really a name. It was a nickname that was given to peripheral arterial disease because it is less well-known than heart disease which can lead to heart attacks and cerebrovascular disease which can lead to stroke. We will know if someone who suffered from those conditions but peripheral arterial disease is the same form of disease. It’s what we call atherosclerosis disease or a disease that leads blockages in the artery of the body and peripheral arterial disease particularly affects the legs. So it’s called a Cinderella disease because it’s not so well-known but the consequences for peripheral arterial disease is quite serious. So it’s important that we all know a little bit more about it. Tabetha: Yes. Very interesting. So tell us, what causes Cinderella disease and what are the symptoms? Assoc. Prof. Askew: We don’t refer to it routinely as Cinderella disease. We call it peripheral arterial disease or PAD. As I’ve mentioned, an atherosclerosis disease, atherosclerosis refers to the buildup of fatty clog within the artery of the body and the clogs reduce the diameter of the blood vessel and it impedes blood flow through the arteries and in peripheral arterial disease, the blockages are most common in the lower limb in the leg. We’ve buildup these blockages, this narrowing and complete blockages of the artery. Patients with PAD have limited blood flow to their legs and that causes a range of symptoms. The first symptom or the first sign of the disease is that people can get leg pain in the muscle of their legs during walking and this is a very specific symptom called claudication or intermittent claudication. It’s a pain that comes on when a person is exercising and then when they stop and rest, the pain goes away. Tabetha: I see. Thank you for explaining that to us. Are there any available treatments for this condition? Assoc. Prof. Askew: There are. So people with peripheral arterial disease are usually encouraged to adopt a healthy diet and to be physically active. If they smoke, they are encouraged to stop smoking. Sometimes the blockages are severe or severe enough that a vascular surgery might be required. So procedures such as angioplasty with the artery or the blockage is removed or even bypass surgery. Unfortunately, in some cases, the blockage is so severe that it has been what we call Critical Limb Ischemia where there’s damage to the issue and in some cases, amputation of the frontal or even the leg might be required if the damage of the tissue is irreparable. Importantly, patients with peripheral arterial disease also have a very high risk of cardiovascular events. So while this causes pain in the legs, these patients are at a very high risk of having a heart attack and that they’re at very high risk of having a stroke. This is one of the areas where we think exercise can provide added benefit. Our research has shown that the patients with peripheral arterial disease exercise as part of their treatment. They not only improve their walking capacity, and their physical capacity, this exercise might also reduce their risk at cardiovascular events and reduce their risk of heart attack and stroke. Tabetha: Thank you so much, Chris for explaining that to us. I would love to talk to you more but we’re running out of time. But before we go, Chris, what is your main takeaway message to all of our listeners out there? What would you like to tell them? Assoc. Prof. Askew: I think it’s really important, I’d like more people to be aware of peripheral arterial disease and also older adults who experience leg pain while they’re walking, just put those canes down until they get old or maybe they think it’s arthritis or some other conditions causing the pain, to be aware that these leg pains, leg muscle pains during walking might be a sign of peripheral arterial disease and serious cardiovascular conditions. If they’re heavily concerned, they should speak to a doctor to be able to do the necessary tests to determine whether they do in fact have peripheral arterial disease. Tabetha: That was a fantastic message. Lastly, for those who want to get in touch with you, Chris, how can they do that? Assoc. Prof. Askew: I’m at the University of the Sunshine Coast. They can find us on the internet by using their web browser and go to www.usc.edu.au. They can also email me directly if they’re interested and my email address is caskew@usc.edu.au. Tabetha: Fantastic. Thank you so much Chris for coming on the show. It was a pleasure having you. Assoc. Prof. Askew: Thank you, Tabetha. Thanks for your time. Tabetha: That was Associate Professor Chris Askew. If you liked this interview, transcripts and archives are available at www.hpr.fm. We’re on all social media platforms. So don’t forget to follow, like and subscribe. Show us some love by subscribing to our HPR YouTube channel. We’re also available for download on SoundCloud and iTunes. I’m Tabetha Moreto and you’re listening to Health Professional Radio.